Trump said it still could be that the crown prince had knowledge of the killing. In an extraordinary statement, President Trump on Tuesday defended Saudi Arabia in the face of mounting pressure over the murder of Washington Post columnist Jamal Khashoggi. He then doubled down on his statement to reporters Tuesday afternoon as he left the White House to travel to Florida for the Thanksgiving holiday. "It's a complex issue, it's a shame, but it is what it is," Trump said. "It is America first to me, it is all about America first." "I'm not going to destroy the world economy and I'm not going to destroy the economy for our country by being foolish with Saudi Arabia," he went on. 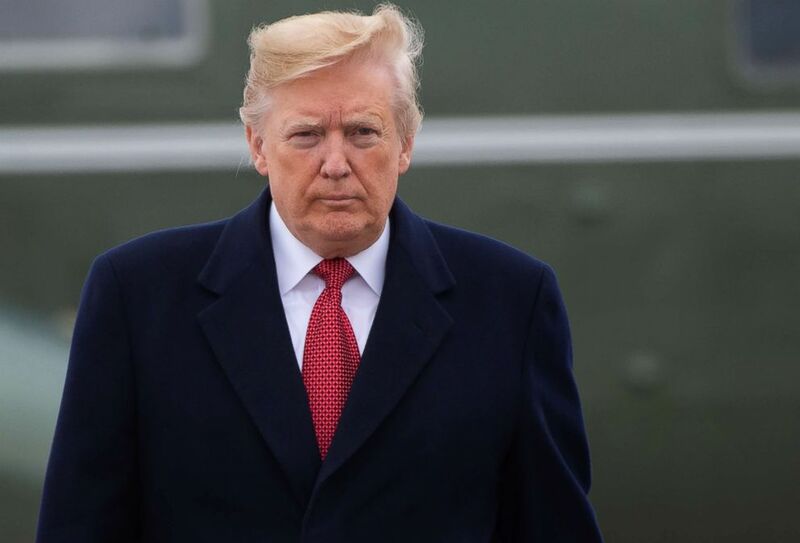 “Representatives of Saudi Arabia say that Jamal Khashoggi was an “enemy of the state” and a member of the Muslim Brotherhood, but my decision is in no way based on that – this is an unacceptable and horrible crime,” Trump said in his statement issued earlier Tuesday. “King Salman and Crown Prince Mohammad bin Salman vigorously deny any knowledge of the planning or execution of the murder of Mr. Khashoggi,” Trump said in the statement. 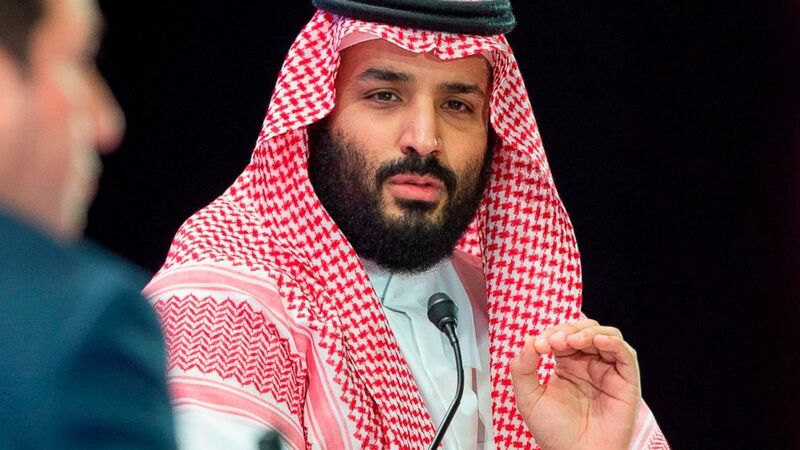 (Bandar Al-Jaloud/AFP/Getty Images) Saudi Crown Prince Mohammed bin Salman speaks during a joint session of the Future Investment Initiative (FII) conference in the capital Riyadh, Oct. 24, 2018. Trump issued the statement without referencing any of the conclusions from a new intelligence report on Khashoggi's killing. Later, he said the CIA report contained "nothing definitive." Over the weekend, Trump said that the U.S. government would complete a "full report" on Khashoggi's death by Tuesday while denying reports that the CIA has concluded that Saudi Crown Prince Mohammed bin Salman ordered the killing. Sources familiar with the intelligence tell ABC they were not aware of any plans to produce a new report by Tuesday or in the near future. A State Department official who has seen a version of the CIA's assessment on the murder of the Saudi journalist told ABC News it's "blindingly obvious" that the crown prince, known as MBS, ordered Khashoggi's death. The president has so far resisted calls for a stronger response to the Oct. 2 killing of Khashoggi in the Saudi consulate in Istanbul. "President Trump is correct in saying the world is a very dangerous place," Ryan said in a statement. "His surrender to this state-ordered murder will only make it more so. Trump has made clear the U.S.-Saudi relationship is one he refuses to diminish. This, despite outrage among members of his own party on Capitol Hill, who have vowed to seek justice in Khashoggi's killing. “I firmly believe there will be strong bipartisan support for serious sanctions against Saudi Arabia, including appropriate members of the royal family, for this barbaric act which defied all civilized norms. While Saudi Arabia is a strategic ally, the behavior of the Crown Prince – in multiple ways – has shown disrespect for the relationship and made him, in my view, beyond toxic," Sen. Lindsey Graham, R-S.C., said in a statement. “I fully realize we have to deal with bad actors and imperfect situations on the international stage. However, when we lose our moral voice, we lose our strongest asset," Graham said. (Saul Loeb/AFP/Getty Images) President Donald Trump arrives to board Air Force One at Joint Base Andrews in Maryland, Nov. 9, 2018. Secretary of State Mike Pompeo echoed the president's position at a briefing Tuesday. "So it's a mean, nasty world out there," Pompeo said. "It is the president's obligation and indeed the State Department's duty as well to ensure we adopt policies that further America's national security." He went on: "So, as the president said today, the United States will continue to have a relationship with the kingdom of Saudi Arabia, they are an important partner of ours." (Alex Wong/Getty Images, FILE) Secretary of State Mike Pompeo speaks to members of the media in the briefing room of the State Department, Oct. 23, 2018, in Washington, DC. 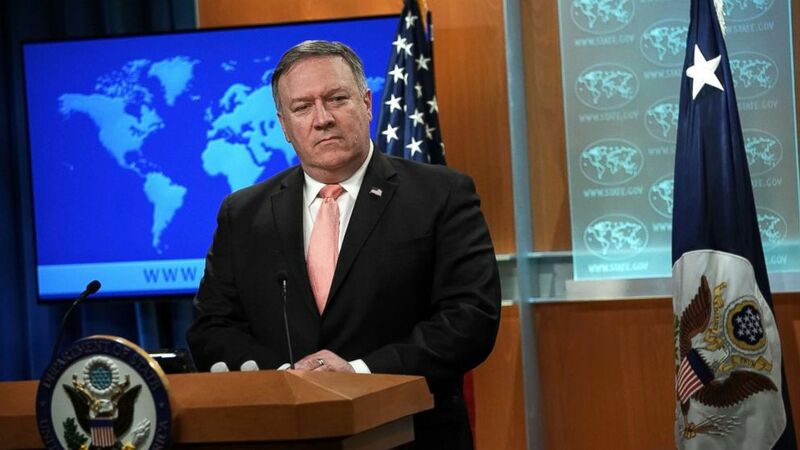 “The United States intends to remain a steadfast partner of Saudi Arabia to ensure the interests of our country, Israel and all other partners in the region. It is our paramount goal to fully eliminate the threat of terrorism throughout the world!” Trump said in his statement. Following the president's statement, Senate Democrats called on the intelligence community to state publicly what it believes to have happened to Khashoggi. "If they will not, I intend to offer legislation to require the IC [Intelligence Community] to release an unclassified public assessment of who ordered Mr. Khashoggi’s killing when the Senate returns next week," Sen. Ron Wyden, D-Ore., said in a statement. And Democratic Sen. Dianne Feinstein of California also weighed in with a statement: "I plan to vote against any future arms sales and appropriation to Saudi Arabia. I also believe that the United States should consider sanctions against the crown prince and that the Saudi ambassador to the United States should not be allowed to continue in that role." ABC News’ Tara Palmeri contributed to this report.